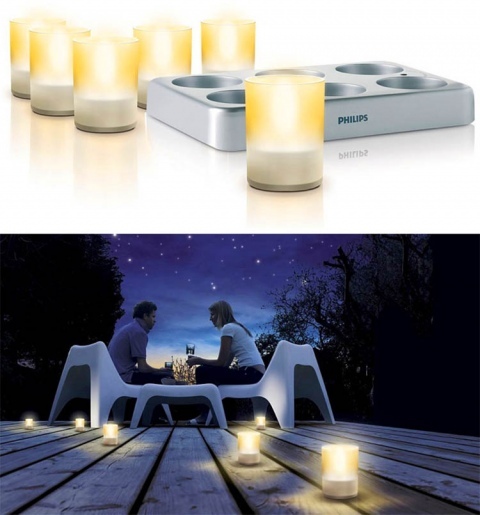 Set of six rechargeable LED Tealights. Flicker like a real candles. Great for inside or outside, no fire danger.